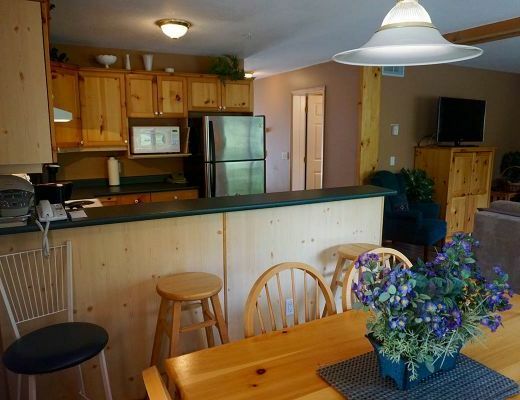 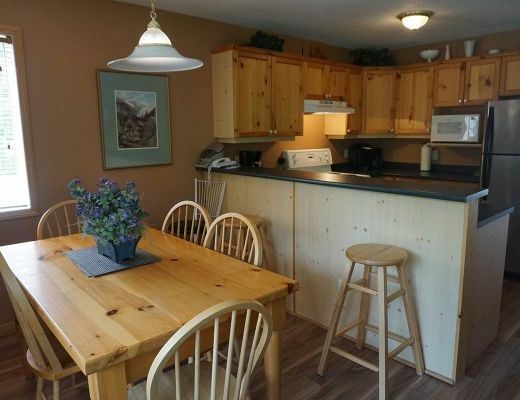 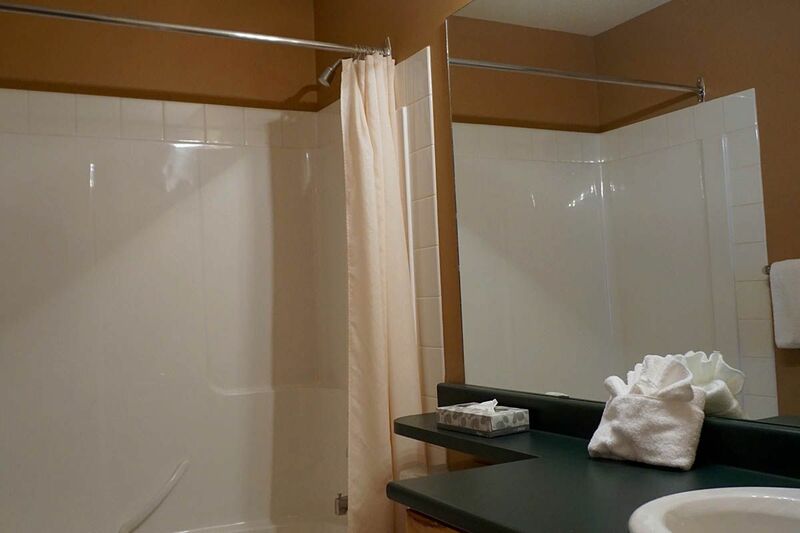 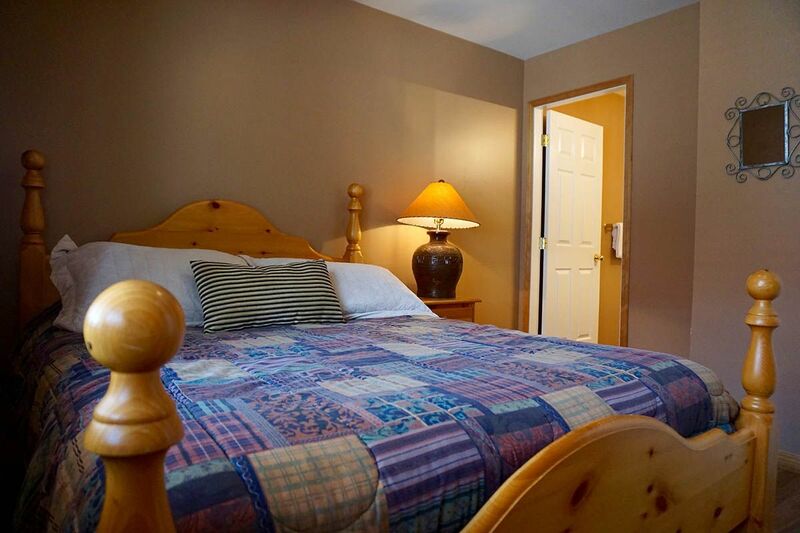 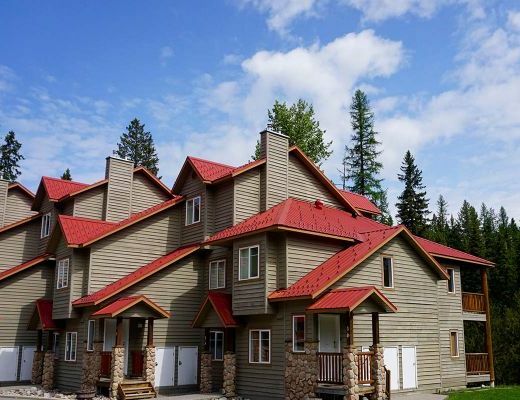 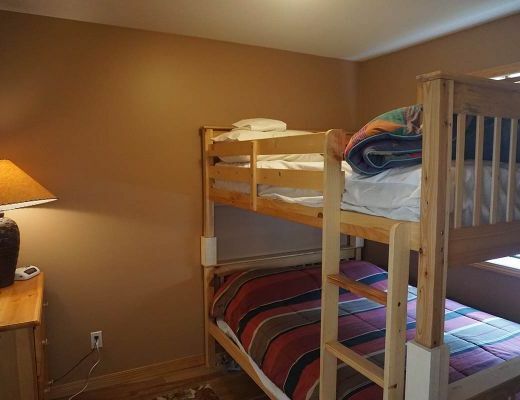 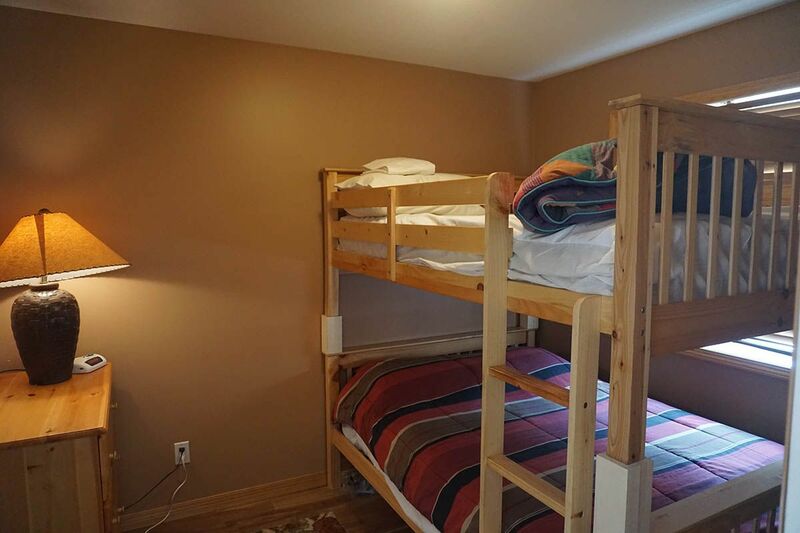 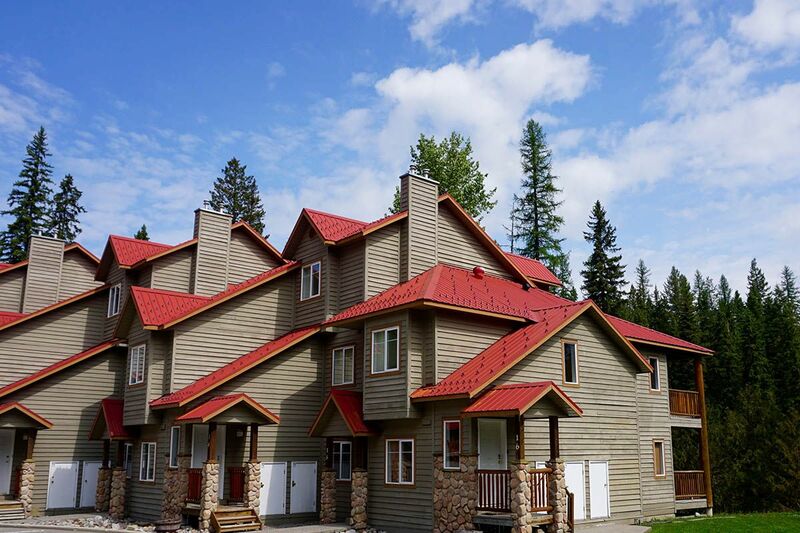 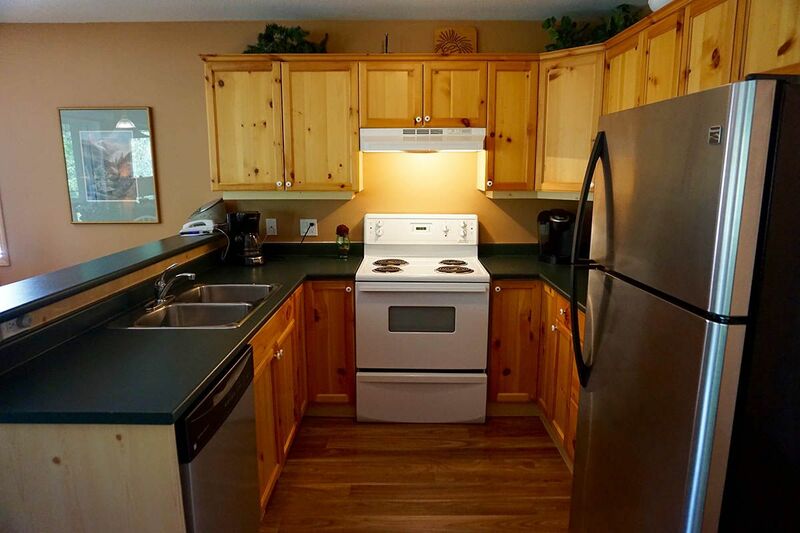 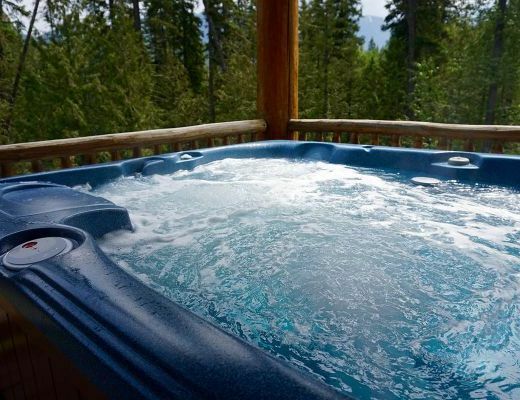 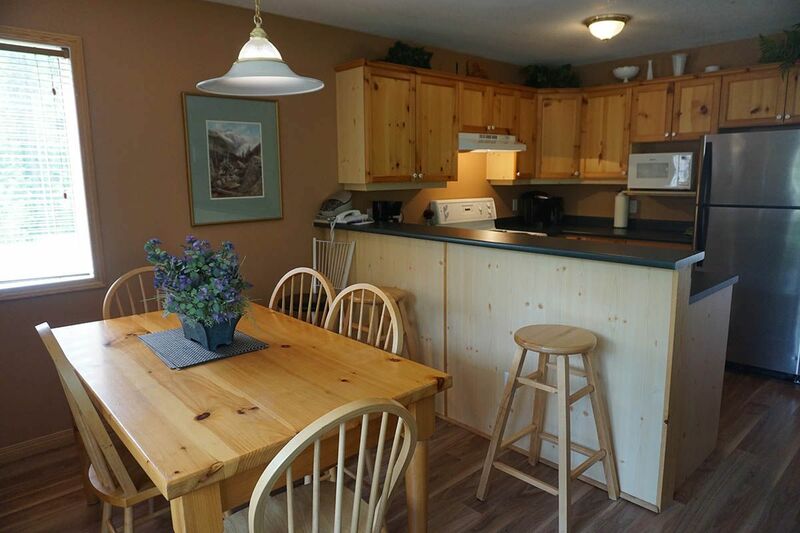 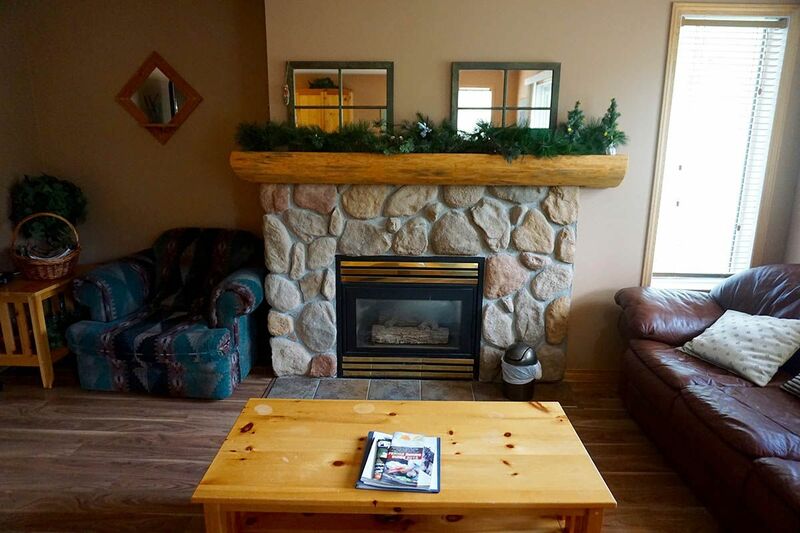 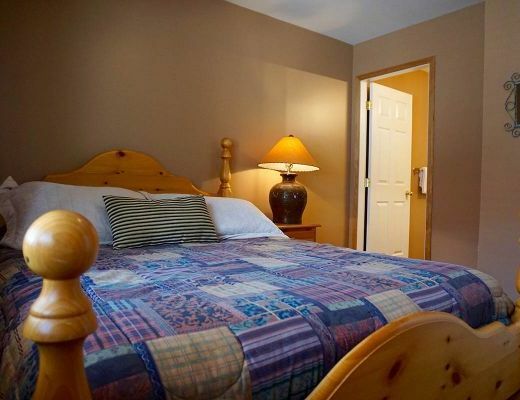 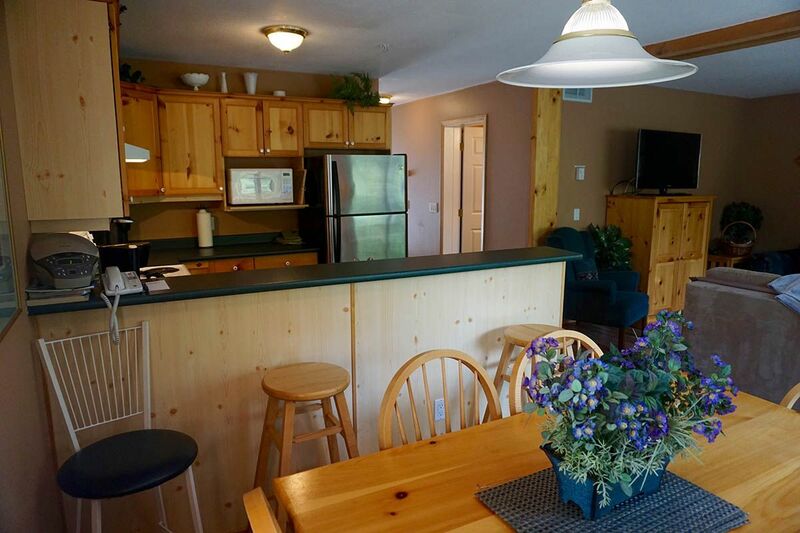 Stone Creek Chalets, situated at the base of Fernie Alpine Resort, offer warm and inviting accommodations, ideal for your upcoming ski vacation. 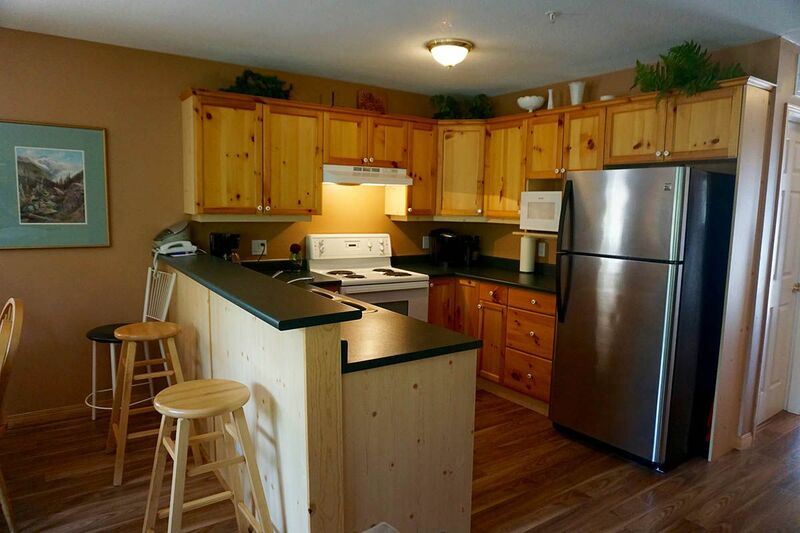 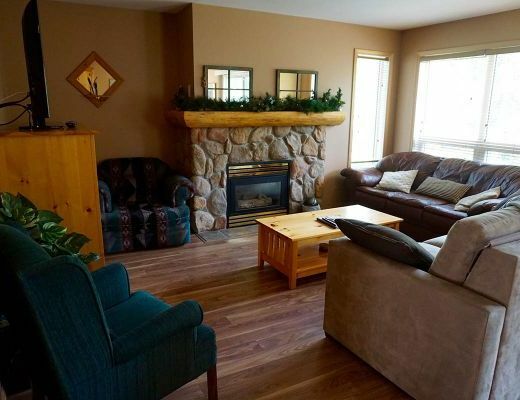 Beautifully decorated and featuring cozy touches, this delightful rental property promise rest and relaxation. 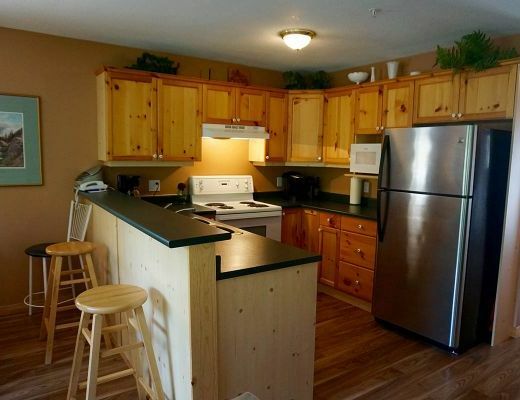 Contemporary styling is brilliantly mixed with rustic-inspired elements to create this lovely two bedroom, two bath unit. 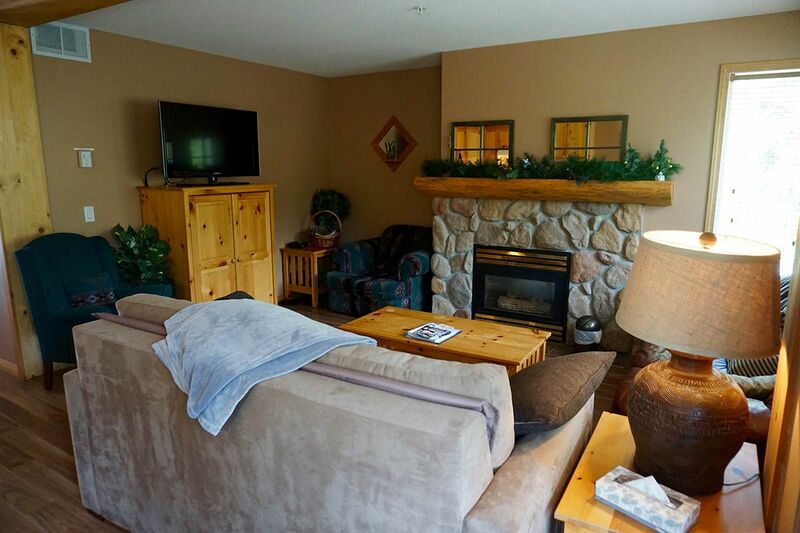 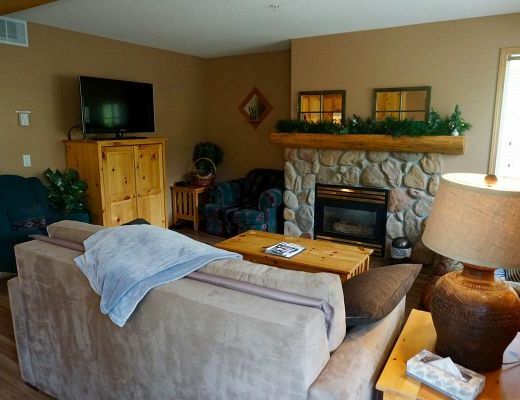 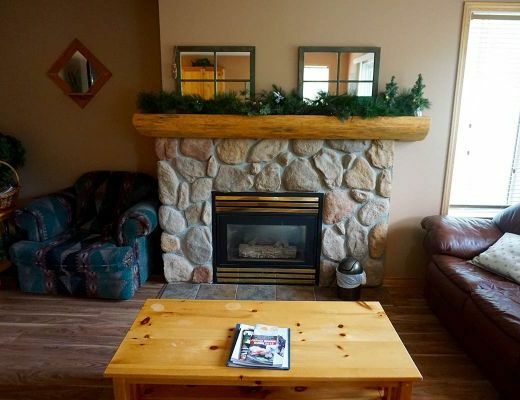 From the cozy rock fireplace to the relaxed furnishings, this delightful property promises all the comforts of home. 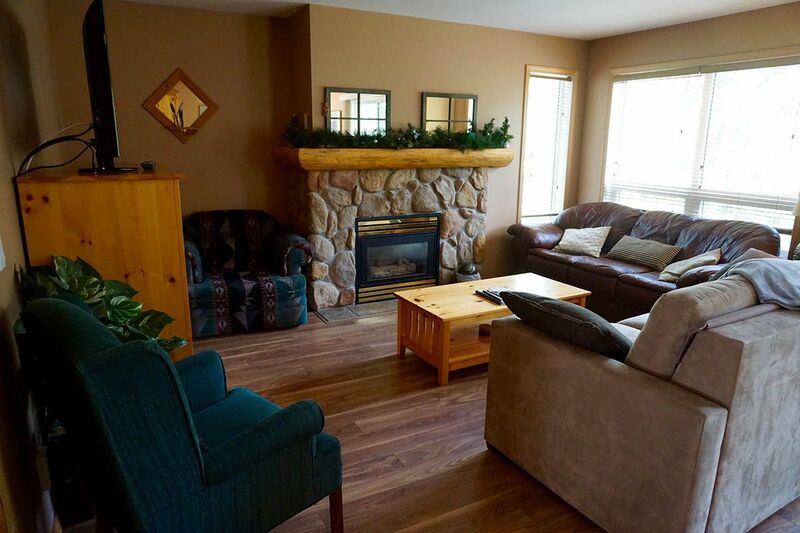 Ideal for the travelling family or a mountain get-together with friends, the welcoming atmosphere allows you to settle in with ease. 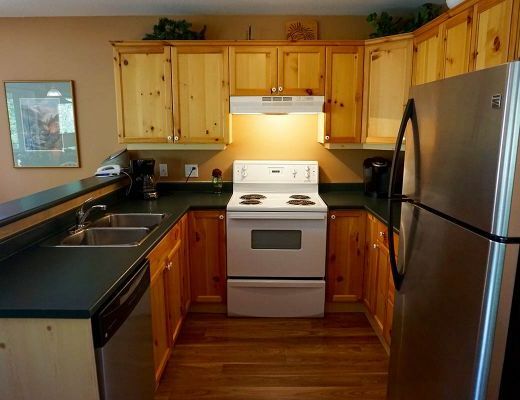 Enjoy the modern offerings featured in the well-equipped kitchen; shaker-style cabinetry, newer appliances and a breakfast bar for informal dining. 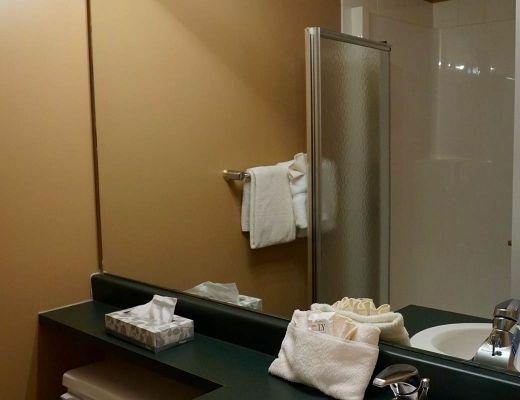 Each bedroom and bath feature contemporary fittings and fixtures while providing comfortable lodging for as many as six guests. 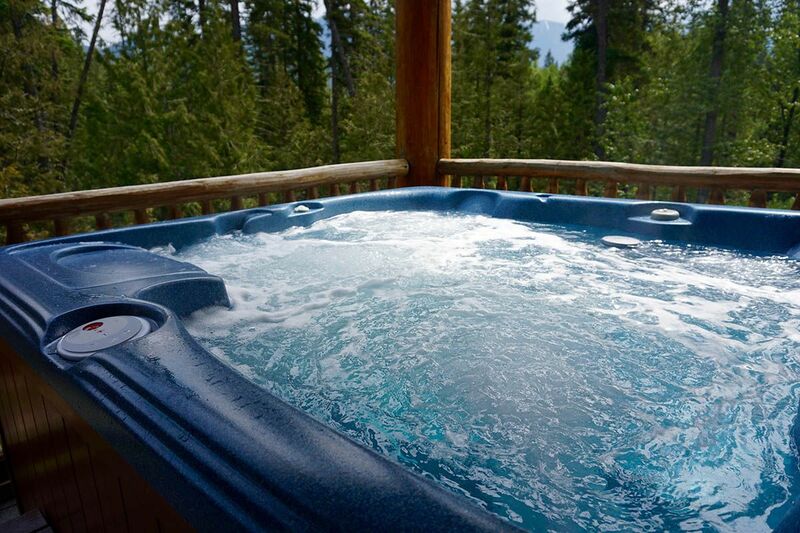 For your added enjoyment, a private hot tub is available for use. 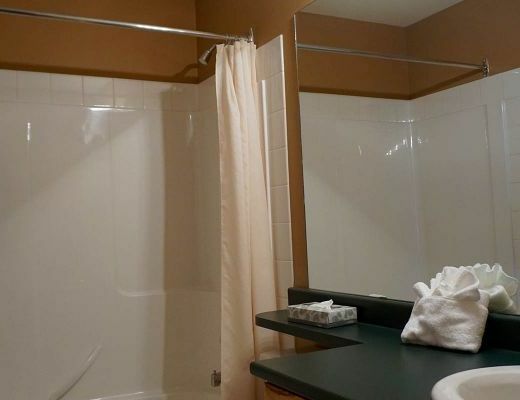 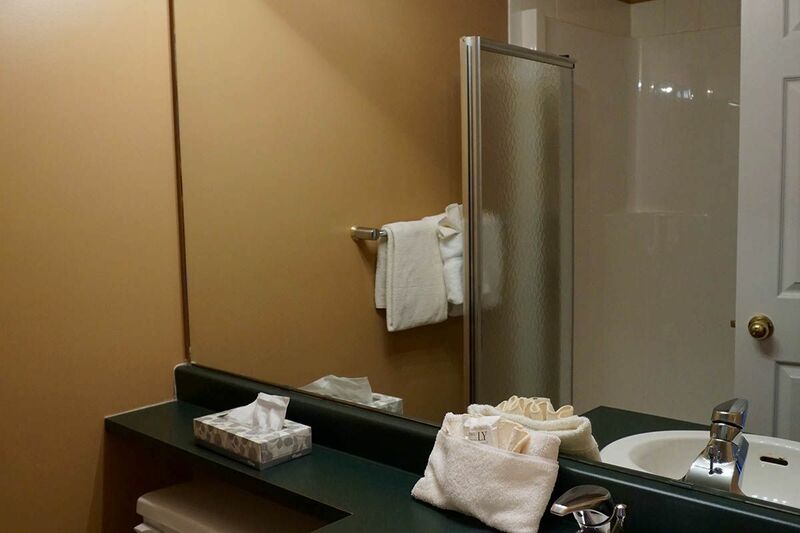 Special Note: This property has a $125 cleaning fee on all stays.